For over 40 years, Gerard C. Smit and his staff at Technivorm in the Netherlands have been focusing on just one thing: manufacturing coffee makers. Gerard C. Smit started the company in his own home with a clear vision: to design a coffee brewer able to produce the finest cup of coffee. All their coffee makers are hand-made at their factory in Amerongen in the Netherlands. 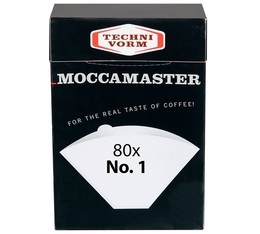 Moccamaster offers a 5 year guarantee on their products!